The Department for Transport (DfT) has launched a consultation to legally require operators to share their data so passengers can get real-time information on routes, timetables and fares. 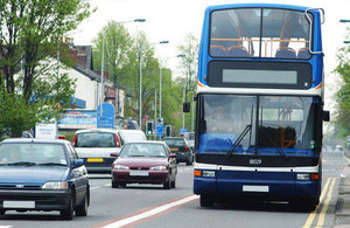 The consultation will also look at making companies provide audio and visual information on buses, ensuring disabled and older people and are able to travel confidently. The DfT says that together the two initiatives will ensure that passengers have the information they need, when they need it, regardless of their location and the company running the service. The DfT added that requiring bus companies to share their data would pave the way for improved information across all modes of transport, meaning quicker, easier journeys for passengers travelling on more than one form of transport. It said transport data is already widely shared within the rail industry and across modes in the biggest cities, with apps such as Trainline and Citymapper, helping passengers make informed choices about their method of travel. This story first appeared on Smart Highways.